The Minnehaha County Juvenile Court Center opened in 1969 and was originally designed as a 20-bed facility to meet the secure detention needs within Minnehaha County. After the formation of a unique regional partnership in the mid-1990's, the facility was expanded. Construction was completed in 1997 and the name of the facility was changed. 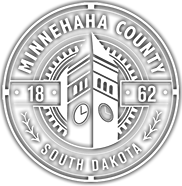 The Minnehaha County Regional Juvenile Detention Center was designed to meet the secure detention needs of fourteen counties in the southeast portion of South Dakota. The counties included in this collaborative effort are: Bon Homme, Brookings, Charles Mix, Clay, Hanson, Hutchinson, Lake, Lincoln, McCook, Miner, Minnehaha, Moody, Turner and Yankton. The mission of the Minnehaha County Regional Juvenile Detention Center is to protect the public and to provide a safe, secure and humane environment for youth that are placed in our custody. 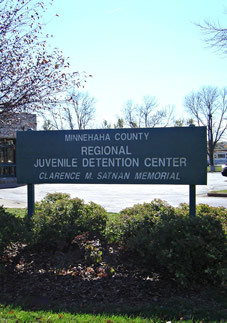 The JDC is dedicated to honor the late Clarence M. Satnan, who tirelessly served the youth of Minnehaha County for 53 years.